This article first appeared in City & Country, The Edge Malaysia Weekly, on October 22, 2018 - October 28, 2018. The country’s industrial property market landscape is changing fast, thanks to the rise of e-commerce. From being located close to ports, more warehouses are now sited nearer to cities to be more efficient and to focus on the last mile logistics so that goods can be delivered to end users in the shortest time possible. Although the market’s performance has slowed in the past five years, industry experts see brighter days ahead for industrial properties on the back of a stable manufacturing sector. The latter has consistently contributed around 23% to GDP (gross domestic product) each year for close to two decades, and as the country strides towards the Fourth Industrial Revolution. CBRE|WTW managing director Foo Gee Jen expects the industrial sector to continue to attract large corporate investors, both local and foreign. “They are expected to continue to invest in core economic activities with Industry 4.0 as a strategic plan to boost automation and big data in the long term,” he says. Foo also believes the size of industrial properties will shrink when automation becomes prevalent and more developers move towards build-to-suit and semi-detached factories for the optimisation and diverse use of space. 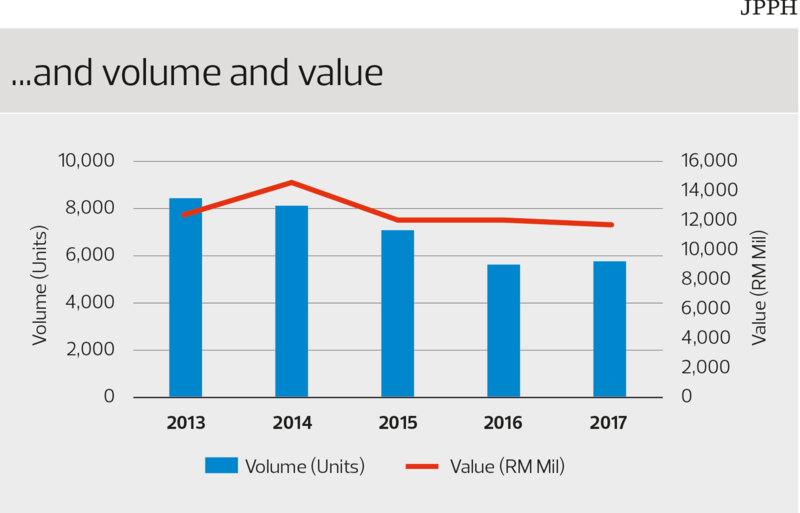 Data from the Valuation and Property Services Department (JPPH) shows that the number of property transactions in the industrial sector declined to 5,725 last year from 8,418 in 2013 while the transaction value varied from RM12.3 billion in 2013 to RM11.6 billion last year. 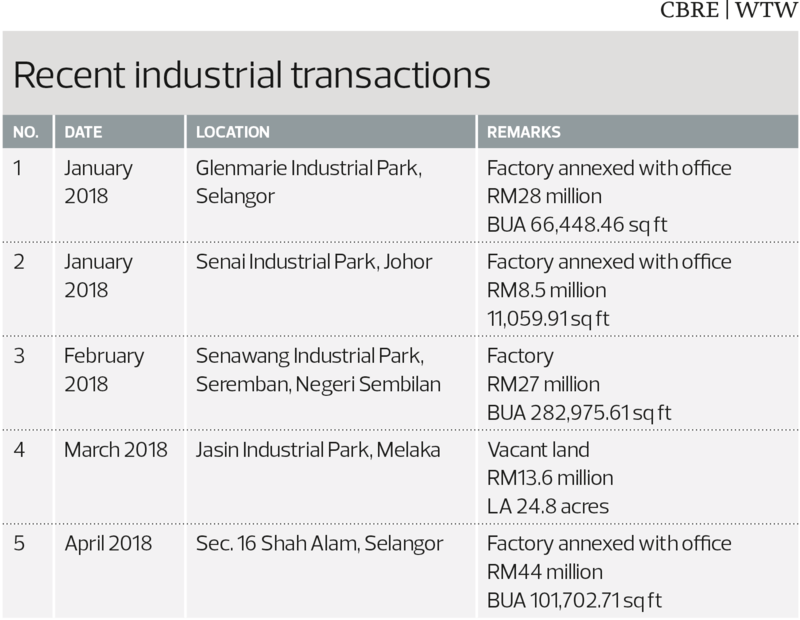 In 1Q2018, some 1,259 industrial property transactions worth RM2.9 billion were recorded. Foo notes that despite fluctuations in transaction volume, which had rebounded by 1Q2018, the annual price trend paints a positive picture. “The industrial market could improve on the expectation that the overall property market will regain strength soon,” he predicts. 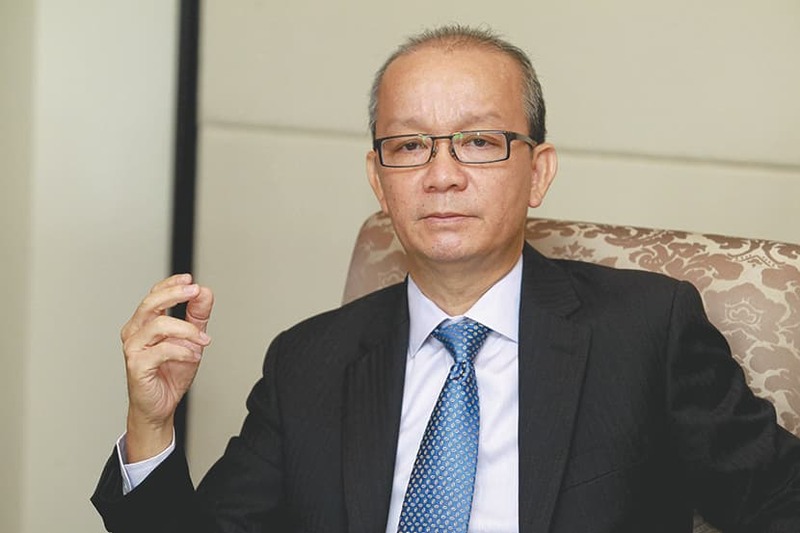 According to AREA Management executive chairman Datuk Stewart LaBrooy, even though e-commerce and logistics are now captured under the service sector, they are two rapidly growing segments of the economy that play a key role in the changing industrial landscape. “Our new government is quickly realising that there is a need to refocus on expanding the industrial sector as a means of addressing the economic welfare of the B40 group of Malaysians,” says LaBrooy. “The development of industrial estates in the country stalled because state governments left it to the private sector, resulting in a mixed outcome. In the meantime, our competitors in Vietnam and Thailand continued to court MNCs (multinational corporations) with well-planned industrial estates and opportunities for industries to relocate there with much success. Rahim & Co manager (industrial) Yap Pin notes that there has been a noticeable shift in the sector towards logistics and food-based industries as manufacturers at the lower end of the value chain are finding it more viable to move to other countries where production costs are lower and government policies more favourable. Recent trends have seen MNCs such as British American Tobacco (BAT), Japan Tobacco International (JTI) and possibly Western Digital moving on, says Yap. “[BAT and JTI] have had to cease production here and relocate to other countries where government policies are more favourable to them. Meanwhile, industrial properties in Petaling Jaya are being repurposed for commercial development as land is becoming more valuable in the area. “It makes sense for a lot of manufacturers to relocate to cheaper locations while unlocking the value of their PJ properties. Many of them have been there for many years, if not decades. In that time, many new industrial areas have opened up that are more accessible via improved infrastructure. Why not take the opportunity to enjoy the windfall from the sale of their PJ properties while moving to brand-new modern plants?” says Yap. According to LaBrooy, land prices in Petaling Jaya have risen to RM300 to RM450 psf. For example, the recent sale of the BAT facility to LGB Group was completed at RM218 million or RM382 psf. “Such high prices and current building bylaws, which require commercial sites to have a 40ft setback from roads, thus reducing footprints, make such sites suitable for high-density mixed-use developments. 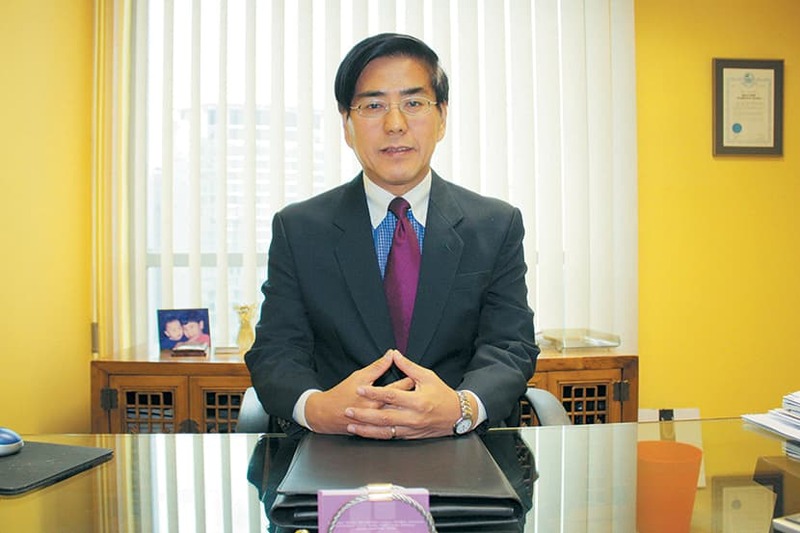 Industrial property landowners are taking advantage of the high prices to sell their properties to commercial developers and using the proceeds to build new facilities in new locations, thereby creating a secondary demand for new industrial estates,” he says. In addition, the heavy traffic along the Federal Highway and connecting highways serving the PJ area has made it non-viable as an industrial location. Over the last two years, warehouses of significant size have emerged on the industrial property scene, particularly in the Klang Valley. These include the Axis Mega Distribution Centre, the DHL Integrated Logistics Centre, the Regional Head Office with Logistics Centre for Big Dutchman and the Mapletree Logistics Warehouse. According to LaBrooy, the Century Logistics headquarters, the Galaxy Logistics Hub, Warehouse for Nippon Express, the Area Logistics @ Ampang and the IKEA Regional Distribution Warehouse are some of the upcoming big warehouses in the Klang Valley. In Johor, the Volkswagen Regional Parts Distribution Centre was scheduled to open in the fourth quarter of this year. “As supply-chain demands and e-commerce take centre stage, we expect more of these products to emerge. In addition, MNCs have chosen Malaysia as a base for their automotive expansion (such as Toyota/Perodua and Geely/Proton) while investments in Pengerang, Johor, continue unabated,” says LaBrooy. 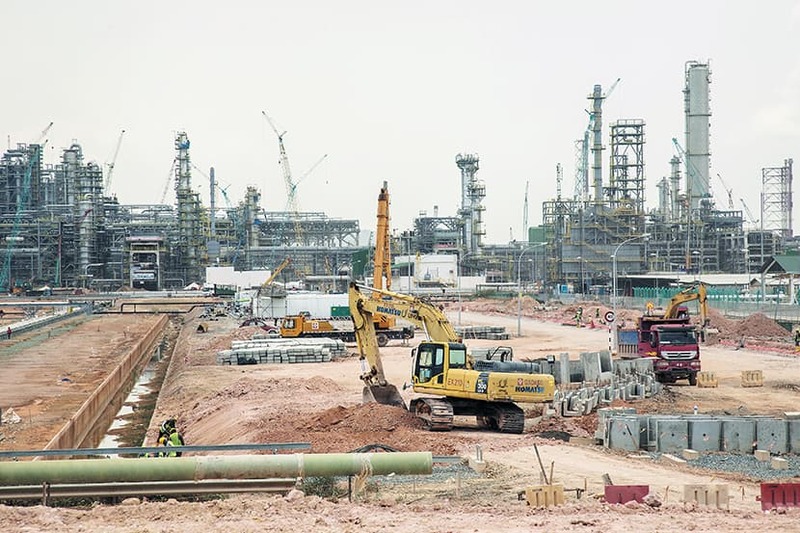 To recap, the Pengerang Integrated Petroleum Complex is a mega project that spans 80 sq km and will house oil refineries, petrochemical plants, liquefied natural gas terminals and a regasification plant upon its completion. The Melaka Gateway project could also materialise as a new dynamic industrial and logistics corridor in the south, says LaBrooy. “We estimate that in the last 24 months, there has been a commitment to build six million to seven million sq ft of logistics space in Selangor alone,” he adds. Industrial properties are still prized for their stable and long-term leases. “Industrial properties are the newest hot assets for global investors. There has been a flurry of large acquisitions in the US, Europe, Australia and Asia (Japan and China), by big global funds in the past two years, commanding yields that are on par with or better than those of top London offices today,” says LaBrooy. In Malaysia, most industrial assets are held by REITs (real estate investment trusts) and end users while the smaller ones are held by private investors for rental income. CBRE|WTW’s Foo says many are also investing in industrial properties for their own business operations. 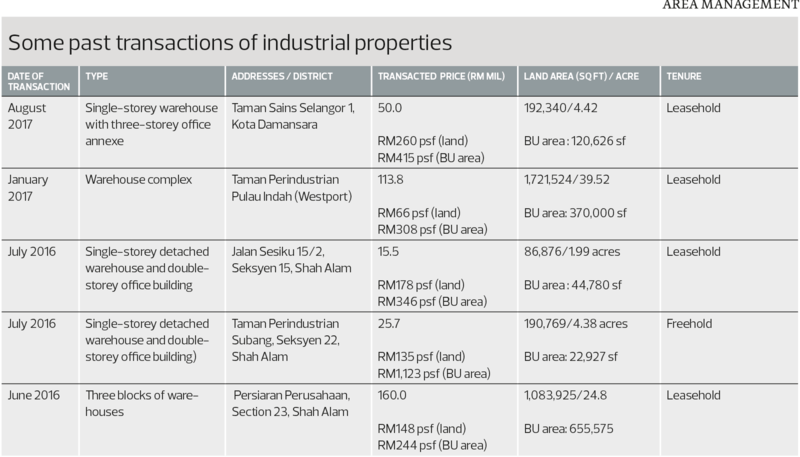 According to LaBrooy, although prices vary depending on the land price and location, completed industrial properties can go for as much as RM500 psf (build to sell) while those in not-so-good locations fetch RM300 psf. “However, it is the underlying land price that determines the final price of the developments,” he says, adding that thanks to price inflation, industrial land costs as much as commercial land in some cases. 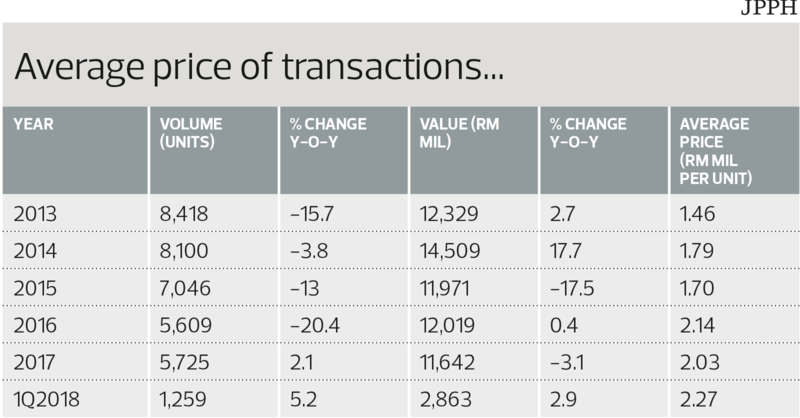 In Shah Alam, for example, land prices have risen as much as 50% over the last five years. “There is an urgent need to create more affordable industrial estates to attract MNCs to Malaysia,” LaBrooy observes. Selangor, Penang and Johor Baru remain industrial and logistics hot spots because of their good infrastructure and connectivity to ports and airports. “In the Klang Valley, the West Coast Expressway (WCE) will be a game changer when it opens in 2020 as it will provide industrial players a new affordable corridor to meet demand. It will also provide connectivity to Northport and Westport, the KLIA (Kuala Lumpur International Airport), Shah Alam, Putrajaya and Kuala Lumpur,” says LaBrooy. Rahim & Co’s Yap concurs that Kuala Langat and Banting are set to become important logistics hubs once the nearby WCE that is linked to other parts of the Klang Valley is completed. 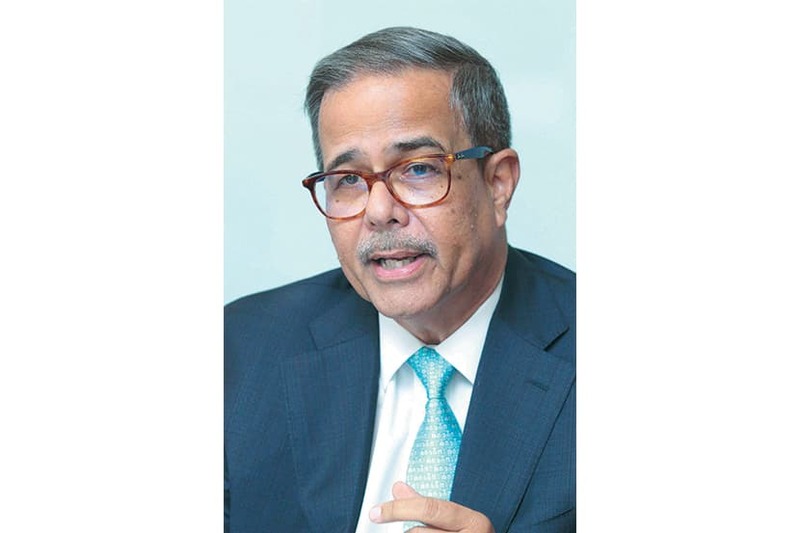 There has been a sharp increase in enquiries from new clients seeking factories to lease in the south, says LaBrooy, adding that Penang will see a rise in demand for manufacturing facilities as the US-China trade war intensifies. 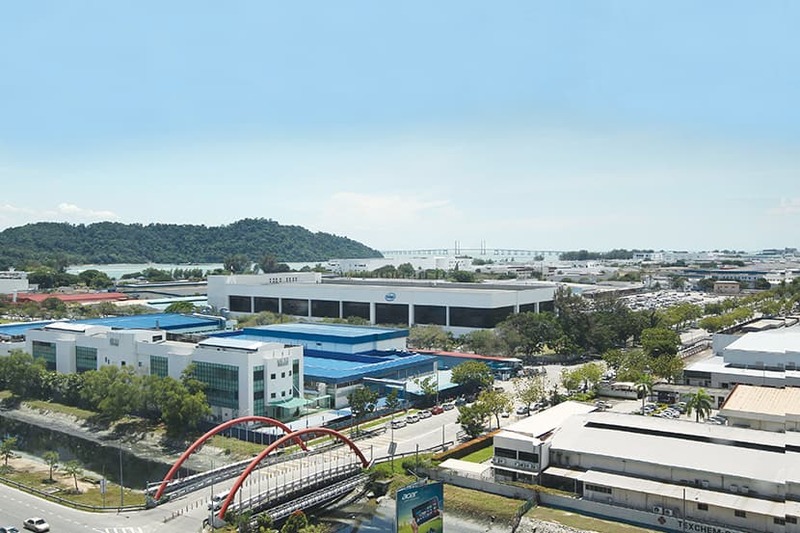 According to Foo, other popular industrial zones in the country are the Bayan Lepas Industrial Park in Penang; Shah Alam, Klang and Subang in the Klang Valley; and Iskandar Malaysia, Gelang Patah and Sedenak Iskandar Data Centre Hub in Johor. Areas primed to be future industrial zones are the Batu Kawan Industrial Park in Penang; Pulau Indah Industrial Park, Selangor Halal Hub and DFTZ in the Klang Valley; and the Sime Darby Business Park in Johor.